Around the longest day is an ideal time to spend an evening at this location just to the south of Tackley station. 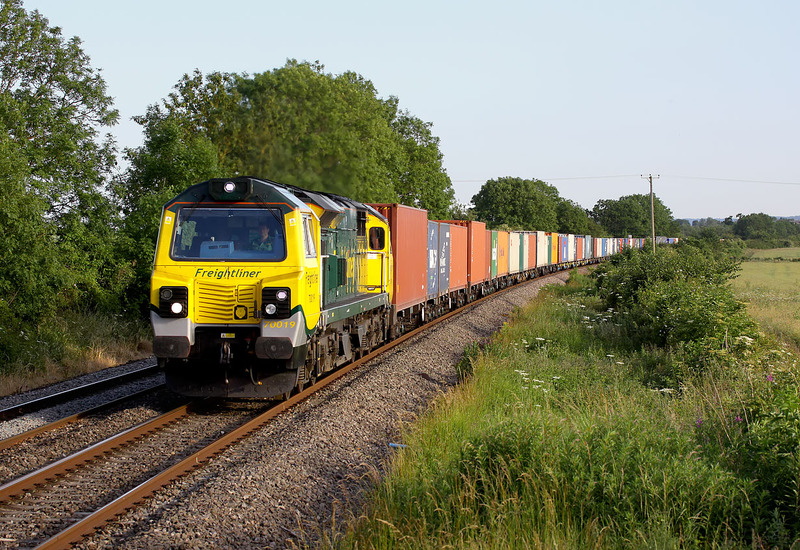 Here we see 70019 heading north with the 4M99 16:57 Southampton Maritime to Trafford Park freightliner on 29 June 2015. With nothing apart from a few small bushes to shade the track, photography can be carried out until the sun sets.